It is our goal to continue helping these unloved and unwanted feral cats and animals. Our work and devotion is never-ending. At the end of everyday when we look back into their eyes, we wonder if they think will be back tomorrow. It was once said by Mahatma Gandhi, "We judge the moral character of our country by the way we treat our animals." Tommy's Feral Feline Friends holds true to their moral convictions of tender love, kindness, loyalty, and devotion for their feral felines. No animal in our care is killed nor declawed. 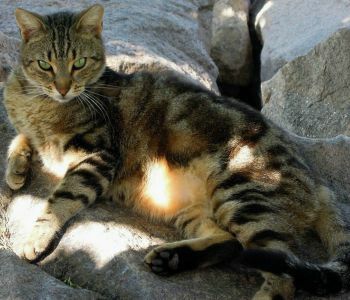 Without Tommy's love, loyalty, devotion and keen sense of intuition Rose would not be alive and our love for him has helped rescue thousands of feral cats and other animals who otherwise would die.